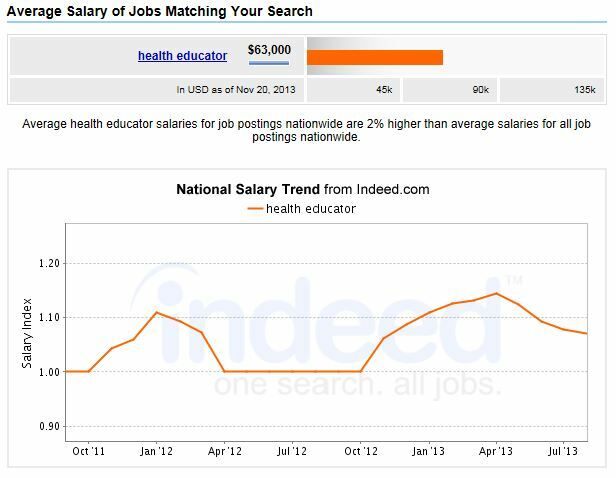 Home / Public Health Articles / What is the Salary Outlook with MPH Degree? What is the Salary Outlook with MPH Degree? If you are considering to further your education, such as with a master’s of public health, you are very smart to be asking about the career and salary potential in the field. After all, if you are going to spend several years of your life and a good deal of money, you want to be sure that the MPH degree is really worth it. There is a wide range of salaries that you can expect in public health with your MPH, depending on which direction you choose. ASPH estimates that 250,000 more public health workers will be needed by 2020. The public health workforce is diminishing over time (there were 50,000 fewer public health workers in 2000 than in 1980), forcing public health workers to do more for more people with fewer resources. This challenge is compounded by the fact that 23% of the current workforce – almost 110,000 workers – are eligible to retire by 2012. There are documented and forecasted shortages of public health physicians, public health nurses, epidemiologists, health care educators, and administrators. Without enough public health workers protecting us where we live, work and play, we all are vulnerable to serious health risks. To replenish the workforce and avert the crisis, schools of public health will have to train three times the current number of graduates over the next 11 years. Public health is a booming field. The field of public health will provide you with many rewarding challenges with very complex public health problems. Some of these include boosting access to good health care, controlling infectious diseases, and reducing various hazards in the environment. Public health is very dynamic and diverse. People with a master’s in public health will come from all kinds of educational backgrounds. Some of the professionals who are drawn to public health work include teachers, researchers, administrators, environmentalists, demographers, laboratory scientists, attorneys and journalists. Public health largely exists to serve others. As a public health professional, you will serve many communities: local, national, and international. You will have many exciting challenges in helping to protect public health in many different communities. 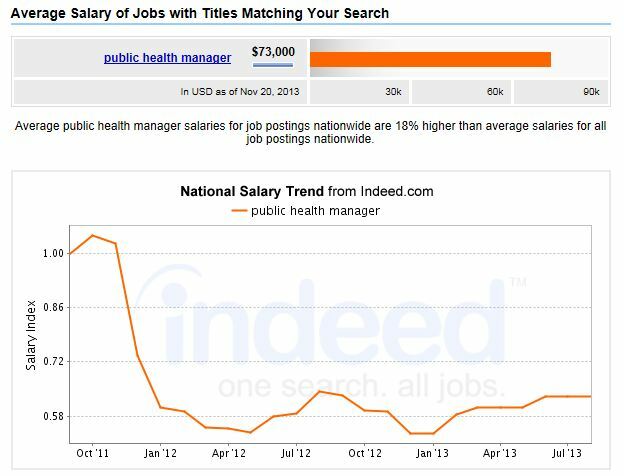 Remember that if you want to advance in public health, you will need to have a master’s degree in public health, and this will give you the greatest access to the best salaries. The good news is many distance learning options exist giving opportunity for anyone, anywhere. Such prominent traditional schools now offer distance learning MPH programs such as George Washington University, University of New England, University of Southern California and University of Liverpool. Easily compare these and other Online MPH programs by clicking here. Salary & Career Insight Continued.. There are many job opportunities available in public health that will suit all sorts of different interests and abilities. If you are interested the most in handling finance, doing research, or working with needy people, you will be able to find a home in public health. 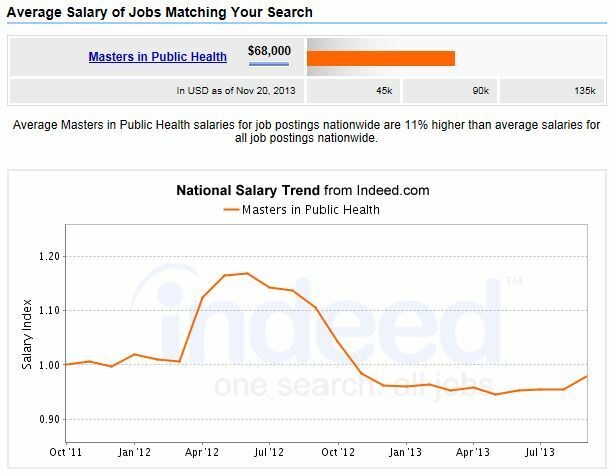 You also will find that the job growth in public health is impressive. This is due in part to the fact that governments and health care agencies are trying to rein in costs, and are focusing more on preventative care, and to prevent people from getting sick in the first place with good health practices in the community. There are many different fields within public health, but the salary ranges below are what you can expect after you graduate with an MPH and have worked about one year. The most common and highest paid MPH careers are detailed below. BLS states that the overall job demand in the field will increase by 14% by 2020. 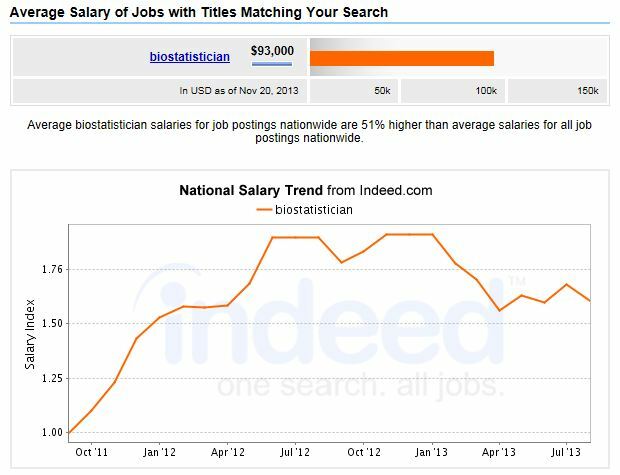 However, BLS does not provide the exact figure for statisticians who are working in public health. 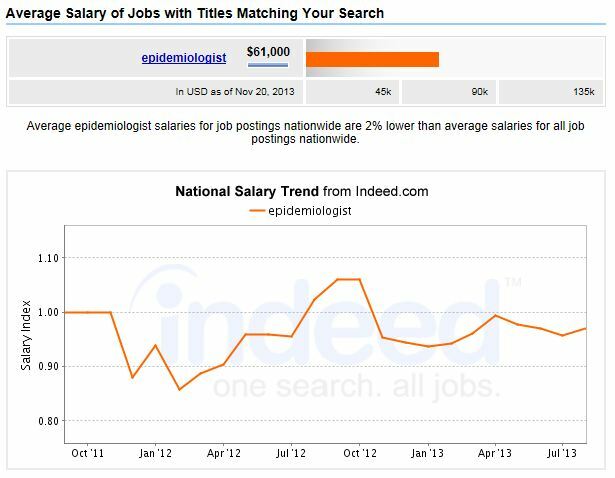 BLS reports that the median salary for epidemiologists is $63,000 per year. The field is expected to increase rapidly in job demand, with a 24% increase anticipated by 2020. 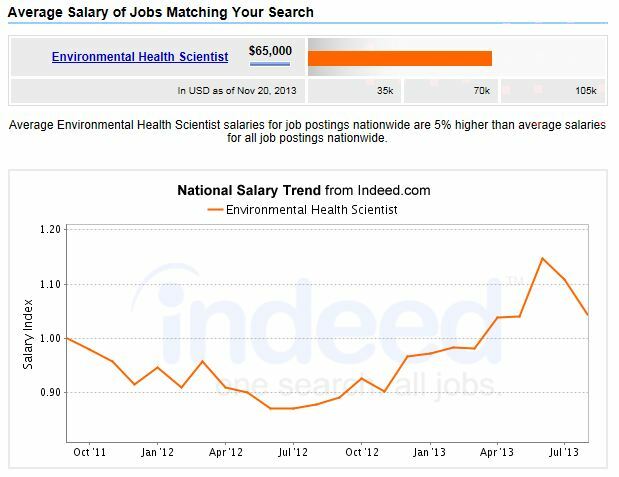 BLS states that the median salary for environmental health scientists is $61,700 per year. 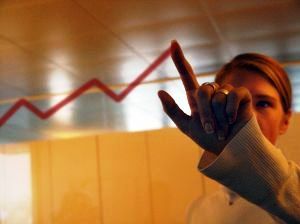 The top 10% earn more than $100,000 per year. The job outlook in the field is positive, with a 19% increase in jobs expected by 2020. Many people with a master’s degree in public health end up working as a health care executive or administrator for a public health-oriented organization. BLS reports that the median salary in this field is $84,000. Keep in mind that this could skew high, as many who work for public health organizations will probably not be paid at that level. The job outlook overall is sunny, with a 22% increase in jobs expected by 2020.